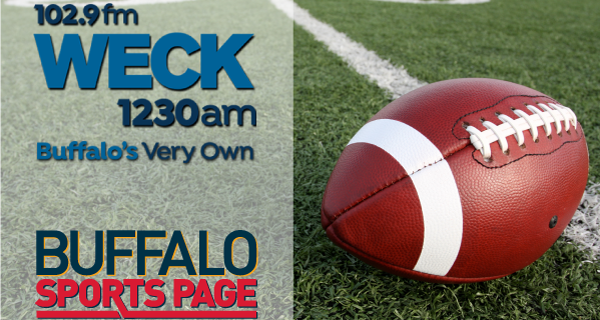 On Saturday’s edition of Sylvester & Peck On Sports Radio on WECK, Paul & Kevin talked a lot of football to gear up for the start of Bills Training Camp. Right off the start, there was a detailed discussion of Josh Allen. The guys put NFL expert Greg Gabriel on the spot, and asked him to run the team’s pre-camp meeting about how they’ll handle the QB position. It was an enlightening discussion from a guy who’s actually been in those meetings. Guests Budd Bailey talked racing and Bandits, and Bob Gaughan chimed in on his thoughts about the Bills. Sylvester & Peck On Sports Radio airs every Saturday at 10am on WECK Radio.